If you are planning to go on a beach with your four-legged friend, ensure that you pack some protective eye-wear and a doggy life jacket, while leaving the pet to enjoy the sand and surf. Before hitting the dunes, review beach safety tips for a refresher course. Never give any goodies from the grill to your pet, no matter how tempting it might sound, as it can cause upset stomach, if you indulge your furry pal in your BBQ feast. Also, ensure that your pet does not eat treats like pork chops or hot dogs, so that he does not fall ill. Since, summer is at its peak, pets can get sunburns. So, it is important to apply pet-friendly sunscreen or baby sunscreen, in case you are unable to find pet sunscreen at your local pet store. Also, get a pet-friendly insect repellent, as heartworm is contracted by mosquitoes. If you see your pet depicting any of these symptoms: exuberant salivation, excessive panting, anxiety or restlessness, bright red or purple gums and tongue, confusion, trouble standing or walking, vomiting, collapse and glazed eyes or staring, he might be suffering from heatstroke. If that is the case, try to cool him down by soaking him with towels and water, and then place him in front of the fan, if possible. Then, contact the veterinarian at the earliest. Whether you are spending this labor day weekend in your backyard, beach or woods, it is not possible to not have fleas and ticks around. These pesky parasites have the tendency of irritating your pet and causing diseases through their bites. If you have a pet that is allergic to flea bites, even a single bite of a flea can ruin your weekend fun. So, have a stock of pet care supplies with you at all times, while having a blast during this festivity. To make this endeavor a reality, CanadaVetExpress is offering branded, qualitative pet care supplies at a never-seen-before discount rate of 15% on top of the already curtailed prices. 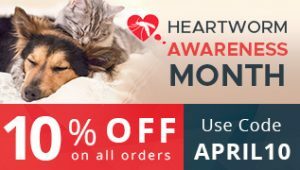 Now stop worrying about your pet’s health by stocking the requisite pet supplies in advance from this reputed online store. This shopping extravaganza provides an extensive range of pet products in different categories like: flea & tick control, wormers, heartwormers, joint care and arthritis. It has supplies for dogs, cats and birds. It also has other treatments like: eye and ear care, nutrition development, vitamin supply and wound repair. What Makes This Labor Day Weekend Sale Special At This Online Shopping Destination? So, what are you waiting for? Grab this once-in-a-lifetime opportunity of availing great pet products on labor day weekend sale today by using the coupon code SPTSL5. Make this labor day weekend a shopping bliss, and keep your furry pal healthy and happy!! !